5 months ago, I announced that Stonemaier Games would no longer be using crowdfunding or pre-order campaigns. This was a notable announcement because I have Kickstarter to thank for my company’s inception and growth from 2012-2015, plus, well, this blog is about crowdfunding. Today Richard Bliss released a new 20-minute podcast chat with me about life after Kickstarter, so I thought I’d take the opportunity to share the trials, tribulations, and successes of the last few months for Stonemaier Games. I’ll focus on the top 3 reasons I moved away from crowdfunding and the 5 pillars of Kickstarter. Fulfillment Risk: Because we no longer rely on fulfillment centers to send our products to thousands of backers, we’ve completely eliminated any risk involved in this process. In a way, we’ve shifted some of that risk to partners who specialize in shipping specific products, like Top Shelf Gamer and Meeplesource. Also, there are great fulfillment companies I trust 100% if I ever need to ship something to a number of people. Time: I work the same 80-hour workweek I did when I was planning, running, and fulfilling our Kickstarter campaigns. I still have deadlines and responsibilities, and I’m still just as averse to vacations as I have been since I went full time in late 2013. But I much prefer the current feeling of my most precious resource, time. It’s more fluid and often more relaxed. Human Nature: I still get to see the darker side of human nature among a small number of people on social media. The difference now is that I have administrative control. Though even that comes with new challenges, as I don’t want to remove someone from a Facebook group just because they had a bad day. Instead, I’ve trained myself to look for a pattern of negativity before taking action. The following are what I consider to be the top 5 purposes of crowdfunding. In this post I described my plan of how to accomplish these things without Kickstarter. Did these plans work out? While there are many channels for people to know about Stonemaier Games and to interact with me (this blog, e-newsletter, e-mail, Twitter, BoardGameGeek, YouTube, etc), by far the most impactful platform has been Facebook. Specifically, product-specific Facebook groups. Combined, our groups for Viticulture, Euphoria, Between Two Cities, Scythe, Charterstone, and our treasure chests have over 10,000 members. I’m frequently active on social media, but I also like that the Facebook groups are entirely self-sufficient without me. Also, unlike on crowdfunding platforms, I really like that anyone can join the Facebook groups or chat on Twitter, BoardGameGeek, etc. Those platforms allow you to love something or be interested in something without spending money to interact with others who are passionate about it. I’ve shifted early information about our products from backers over to our 2,000+ ambassadors, allowing them to provide insights and suggestions while the product is still pliable. Most of this comes in the form of blind playtesting, but I’ve also just tried to ask ambassadors specific questions and simply leave my metaphorical door open for them to offer input about the information I share with them. I’ve also used Facebook for this. Throughout the Charterstone design process, every now and then I’d pose a question in the Charterstone FB group to help me get outside perspectives about legacy games, worker-placement games, etc. I really liked having a forum to discuss games while they’re still in development. Possibly the biggest change in methodology has been shifting my entire sales focus to distributors. Retailers and individual people are my customers, but distributors are my clients. In practical terms, it means that I frequently communicate with distributors to coordinate direct orders, product releases, reprints, and marketing efforts. I look to distributors to help me gauge demand–it’s mutually beneficial for us to talk about those numbers. Back in December I went to distributors and asked if they wanted to commit to quantities for the 6th printing of Scythe. If they committed by late December, I would guarantee that quantity for them. Those games are now arriving at their destinations. We did something similar with Charterstone. I used our future printing request form to gauge demand from our e-newsletter subscribers, then I shared that total with retailers to get a feel for their interest. With 450 retailers on our mailing list, I wish more than 50 had replied, though I think many of them communicated directly with their distributors. We took all of that data and shared it with distributors, which has contributed to determining the size of the first print run of Charterstone (51,000 units). I learned an unexpected lesson while generating awareness for Charterstone: If you tell retailers a product’s SKU and MSRP, they will list it for pre-order. Now, this isn’t inherently a bad thing. Pre-orders are how stores gauge demand, and they’re directly competing with other retailers. The problem is that when I shared the SKU and MSRP for Charterstone with distributors and retailers, it wasn’t with the intent that they would accept pre-orders already. If that were the intent, my communication with them would have been different: I would have informed all stores that they could open pre-orders, creating a level playing field. I would also have been very precise in nothing that the release date was in flux. And ideally I would have provided links to early reviews so customers could make an informed decisions–that’s why I wanted to wait until much later in the process to initiate pre-orders. So I’ve learned to either (a) not release the SKU and/or MSRP until I’m ready for retailers to accept pre-orders or (b) cater my communication to retailers so they all have the same pre-order information at the same time. Beyond that lesson, I’ve continued to use the same methods of marketing I used while I was running Kickstarters: send out review copies, support play-and-win, post banner ads on BGG, and send out the monthly e-newsletter. Cash flow in the business of board games is an odd thing. You may invest hundreds of thousands of dollars in a game that takes 3-4 months to manufacture, 1 month to ship, and then 1-2 months after that you’ll get payments from distributors. So there are extended periods of time when cash flow is a struggle, then all of a sudden (if all goes well) you’re flush with cash. The X-factor we experienced a few months ago is taxes. I’ll discuss this in detail in an upcoming post, but the short story is that our cash flow was very healthy, then suddenly the US Treasury had almost all of our cash. Fortunately, a major asset has been our partnerships with international publishers. When we localize a game as part of a bigger print run, the partner pays for half of their costs (manufacturing plus royalties) before printing begins and then the other half right before the games ship to them. This is a much tighter cycle than distributor payments, and it really helps with cash flow. We also have some distributors who buy directly from us. Depending on how well I know them, I’ve let some pay me when they receive the product at their final destination instead of when their shipping company picks up the product in Shenzhen. But I think I’ll need to switch to a system where all distributors use the latter method. Without it, there may be times when we want to make a product but simply need to wait until we’ve received distributor payments, which doesn’t benefit anyone. Overall, as much as I enjoyed and am grateful for my crowdfunding experience–and while I continue to believe it’s an amazing platform for creators–I’m personally much happier now that I no longer use Kickstarter as a creator. And when I’m happy, it’s a lot easier for me to create joyful experiences and interactions for our fans. But that’s just me. Has Stonemaier Games suffered as a result of not using Kickstarter? Like, all other factors remaining equal, would Stonemaier Games be better off if we ran a Kickstarter campaign for Charterstone? Honestly, I think the only metric by which we’d be better off is current cash flow. Otherwise, in every other way (including total revenue), the company is more successful because we grew out of crowdfunding instead of continuing to use it. I’m happy to answer any of your questions and to read your comments below. That’s how I feel about KS. The natural way is to start publishing games traditional way. However, still, a lot of companies treat KS as a pre-order platform. And that’s ok; I’m not blaming them. But KS can be so exhausting for small businesses ( 1-2 people) when running the whole campaign alone. Especially when dealing with haters! And I know that all publishers struggle with them, even the biggest (not only from KS but traditional as well)! Mateusz: I would wager that even companies perceived to use Kickstarter as a pre-order platform are motivated by several of those pillars mentioned above. Some of the plusses you list are plusses for you but not necessarily for your customers. For example with you releasing the game to distributors it has left some people unsure of where they can secure a copy. Do you think that the drawbacks of kickstarter are worth the hassle if they mean more plusses for your customers but not you? It is not a criticism of your choice, I am just curious. Josiah: That’s a great question: By shifting away from Kickstarter, are we neglecting our customers? I would say the answer is not at all. Our customers still have the same opportunity to buy our products from any store. For example, we announced Charterstone well in advance of even starting production, so anyone who wants a copy can go to any store (local or online) and reserve/pre-order a copy. Stores communicate those quantities to distributors, and those distributors inform our production quantity. Because of our relationships with distributors, we’re actually able to make more games in the first print run than when we were on Kickstarter, serving a much broader customer base than before and increasing the chances that everyone who wants a first-run copy will get one (even if they don’t decide until the day of release that they want one). I would say it is even better for customers because the customer will get a full product straight from the store. There is no KS exclusives or SG. You get the best version of the game as a standard. And that’s what I like about traditional publishing! Personally I’d say that it removes, or reduces, risk to the consumer as well. Wait until there’s an actual product rather than raising funds for development of a product. While Stonemaier had an excellent track record, often managing to do the unheard of and get games to consumers ahead of schedule, there is always a risk involved in a Kickstarter project, and while the US has been pretty consistent on treating Kickstarter as a pre-order service legally speaking, so there is some consumer protection in there, lets face it, people with pre-orders are bottom of the totem pole of creditors in the event of a company going bust (Not that I expect Stonemaier is in any danger of that happening, but… It’s something that has happened with Kickstarters before. Even beyond the disaster situation of a scammer or a bankruptcy, you get to see more reviews, hear more player impressions, and generally just have more information available, before putting your money down on the game. Less risk of accidentally buying a game you don’t like, which is a bonus. Mateusz: That’s a great point! Stephen: I’m glad you mentioned that aspect of risk mitigation as well. I agree. Thank you for writing this blog because I love the topics and questions that come up from your writings. I think your happiness is all the reason you need to move away from Kickstarter. However, I am interested to see the long term cash flow effects it will have. “Because of our relationships with distributors, we’re actually able to make more games in the first print run than when we were on Kickstarter”. We’ve seen situations with publishers where they didn’t print anywhere near demand and had to allocate product to the distributors. Many retailers and consumer preorders don’t get fulfilled even though they placed their order months in advance. It’s not perfect but I feel like the best reasons for Kickstarter are the improved data on consumer interest, improved cash flow and reduction of financial risk on publishing. Anyways, thanks for the insights. James: Thanks for your comment. My thoughts are as follows: Really, there’s no question in my mind that long-term revenue will be substantially higher using the distribution model. As for the situation you mentioned, the key is communication. If retailers, distributors, and publishers are in contact with each other before production begins, they can anticipate demand and prepare to meet it with the proper supply. 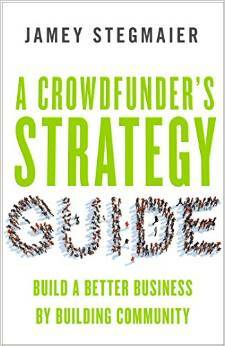 A Kickstarter campaign only addresses the very beginning of demand, the first early adopters. It’s true that it gives creators some data to work with, but I can get that same data simply by asking consumers, retailers, and distributors how many copies they want. As for short-term cash flow, absolutely, a Kickstarter is great for that. I guess I’ve been very lucky in my Kickstarter so far, in that I haven’t had any haters (fingers crossed that​ it stays that way for the rest of the campaign). I think the other benefit of KS is, it’s a great way to learn all the ins and outs of manufacturing and shipping. I’m not averse to publishing in a more traditional way, nor to submitting my designs to established publishers, but it’s a per game decision, and assuming I’m sufficiently skeptical of my own designs (i.e. don’t just self publish because I personally think it’s a neat game), I think I can make a good judgment call on a given game. Plus, I don’t really think traditional self publishing is an option for me until I have been somewhat established as a reliable brand. Paul: I’m glad to hear you’ve had a great group of backers so far! From my experience, the vast majority of backers are wonderful. You’re absolutely right that Kickstarter is a great way to learn pretty much everything you need to know to run a business. I hadn’t thought about it as a way to establish your brand as a designer, but I like that approach! I like the 5 reasons for using Kickstarter, but I think it forgets a segment of consumers that are under-served. Direct to Global Consumers. In many parts of the world, new games are often served by poor or inefficient distribution networks. Here in Australia, we have a large continent with small population and distribution of niche products like modern tabletop games is often inefficient and expensive. Kickstarter means we often get games 12 months or more before they are available in retail, or avoids having to order from overseas when the product simply is not distributed here. While my examples are from being in Australia, I know there are many parts of the world with similar pent-up demand that existing retail channels don’t serve well. Richard: That’s true, certain markets can be underserved due to varying factors. That hasn’t been our experience, as we have some great partners in pretty much every location where games are sold (including Australia), many of whom ship the games directly from China. This allows games to arrive quickly (even faster than the US) and more cost-effectively for consumers than if they were purchased via Kickstarter. Looking forward to seeing that pan out. At the moment the only Stonemaier product I can find in my 3 local game stores is Invaders from Afar, and while I and others at our gaming club know to let our local stores about games we are looking forward to, the retailers often cite difficulty getting accurate information on product releases and difficulty with procuring inventory. Interesting. We have a monthly e-newsletter that goes out to hundreds of retailers, so either they’re not reading it or they haven’t subscribed. :) I think that’s one of the challenges–it takes both parties to have effective communication. Only 3 stores out of the 44 on our mailing list responded to our Charterstone poll. That said, regardless of what retailers know, both VR Distribution and Let’s Play Games have large shipments of our games and accessories arriving soon (they may have already arrived). I appreciate you letting your store know that you want our products! Jamey, this is a great post regarding your experience in retrospect. We are on the other side of the coin, looking at using kickstarter to launch our first game and thus our company. Would you say then that kickstarter is a good way for startup companies and or projects to begin? As you point out, it appears that there is a “growing up” phase and now you no longer need the platform, but is it good in your opinion for “beginners”? After reviewing your post and observing many examples, this seems to be the case. Austin: I would definitely say that Kickstarter is a great way for companies to begin and grow. Stonemaier wouldn’t exist or be in our current position without it, and I highly recommend it. Always such interesting and helpful information. I’m curious how and when taxation happens when you use Kickstarter. When the funds come in, is this when income is taxable? The reason I’m wondering it may take several months , in some cases a year to actually deliver products and you do not have an expense ratio established until product is delivered. Also, how long after the campaign ends dies it take to relieve funds? You’ll get the funds about 2 weeks after the campaign ends.